Ken is more than just a real estate agent. In every aspect of his job he’s far and above the ultimate that a person expects from an agent. He keeps a client aware of what’s happening all along the sometimes very long process of acquiring the home that a person desires. He’s at a persons every whim even on the weekends which at times takes away from his family time. Ken is very thoughtful. He has gone out of his way many times to meet me to sign a paper/s about my new home. I couldn’t have asked for a more professional, always honest, above reproach and attentive agent. Every chance I have and will have I will recommend Ken to the hilt. He’s the best! Definitely professional and efficient. Listened to what I wanted and is still searching for me. I haven’t found my house yet (because of my financial situation) but know that when I am ready I can count on Ken. I highly recommend Ken Anderson to anyone buying or selling a property. He provides excellent service. He was particularly helpful when we were struggling to sell our home. Ken took the initiative and extra effort necessary to ensure that the repairs and cleaning that were necessary to sell the home at a price we were willing to accept, were done in the most cost effective manner. Mr. Anderson is very patient and took the time to explain situation and to address any issue we were concerned about. 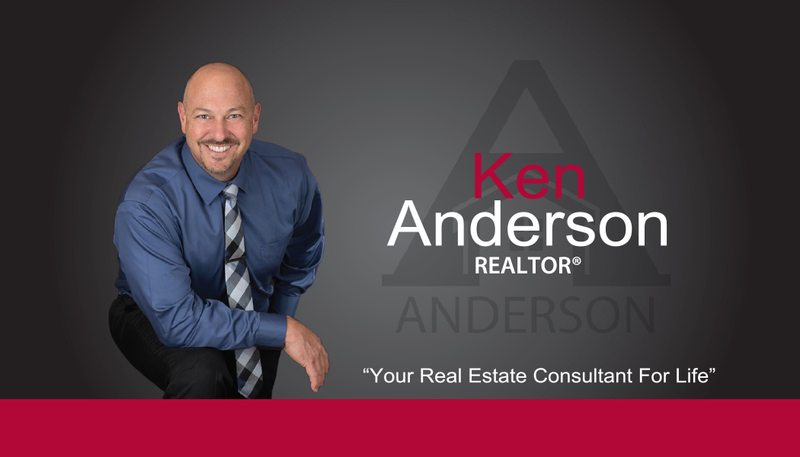 Based on our experience, I highly recommend making Ken Anderson as your Real Estate Agent! Ken Anderson went above and beyond for me at a very difficult time in my life. I had been dealing with chronic pain from injuries sustained while working as an RN and, more recently, fallen in my tri-level house! I needed to move into a single-story home asap as I could no longer go up the stairs to the bedrooms without losing my balance. He helped me find my new home and closed the deal within 3 weeks! When the selling agent did not follow through with his commitment to pay for a home warranty as promised, Ken took it upon himself to do the right thing and paid for it! Ken is a rare find; with integrity that draws loyalty and friendship. I will always respect and recommend Ken Anderson! Thank you Ken! Ken Anderson is a family man and friend and was very passionate in helping me find a new home. He has been my realitor that I went back to the second time I was looking for a house again. I’ve been very happy with his service and determination in finding the right house for me. I would highly recommend him to anyone looking to buy or sell property. I really appreciated the help and advice Ken gave to my husband and I when we were looking for our first home. He helped us find a great home at a great price. We wouldn’t dream of using anyone else! Ken Anderson was our real estate agent back in 2011. Ken is very honest and has a lot of integrity when it comes to finding the right home for you. We had a very pleasant experience with Ken. He takes away the stress of finding a house by his experience with dealing with people and his expertise in doing his job. We highly recommend Ken and we will not hesitate to call on him again in the future. Ken was my Real Estate agent when I purchased my in 1998. He was very helpful all the way through the purchasing process. When I got ready to sell my home in May of 2014 I called him and he was right there with helpful hints to sell my home. He actually got me a higher price for my home than I thought I could. I have recommented him to friends and they have also nothing but praise for him. There is no-one else I would rather deal with when buy or selling a home. It was a real pleasure having him as my Realtor. He is knowledgeable, friendly, and goes above and beyond with anything he can help with. Ken from the very beginning made the process of buying a home a very easy one. He guided me through every step and always took the time to answer my questions or take my phone calls with questions. I simply told him what I was looking for and daily he would send me listings with homes I might be interested in. Anytime I found a home I might be interested in he would make the time to take me to see the home and would spend hours with me. Once I found the the home I wanted he was quick to act and get the ball rolling. He also guided me through every aspect of the closing of my home. All around great experience and I appreciated his hard work and dedication. Ken was recommended by a friend who had a positive transaction with him. We called and he immediately returned the call. He was extremely helpful during all phases of the selling of a home. Ken is honest and very very helpful . We would recommend him to anyone who is selling or buying a home. Ken is the best! I knew nothing about the home buying process, but Ken made sure I was well informed every step of the way. I’ve heard horror stories about how lengthy and difficult buying a home was, but I must say, I thought it was easy. Ken understands the market and where to focus your bids so you aren’t wasting your time. It was refreshing to have someone who actually cares more about you feeling comfortable with your decisions than just making a sale. And when you are making a huge decision like buying a house that’s IMPORTANT! Ken was extremely helpful in helping us locate a home. Because of my wife’s medical issues we wanted to be near her doctors office and as close to her good friends house as possible. We were happy to find a house that fit those requirements as well as my requirement that the Air Conditioning unit not be on the roof and not be too old. Double Pane windows were desirable but not required. Ken showed us the house we now own and it met all criteria as well as having double pane windows, doors and several feet of foam insulation in the attic. Ken helped us with all the paperwork which was more involved than I expected. He was always available to answer any of my questions and made certain I was satisfied with his answer. If there was a question he was unsure of he would find the answer and get back to me quickly. His honesty and high standards made me feel comfortable with everything as we worked through the process. He is one of those high caliber people that’s always nice to have on your side when dealing with complicated issues. I highly recommend Ken to anyone looking to buy real estate. Ken was great in finding us a home! He really treated us like friends, not just clients. We are very happy with his time and how quick he was to always respond to our questions or concerns. Thanks for everything!